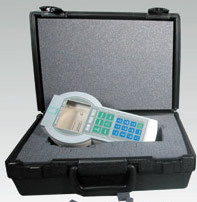 Our hard sided cases are blow molded, and are high density polyethylene. 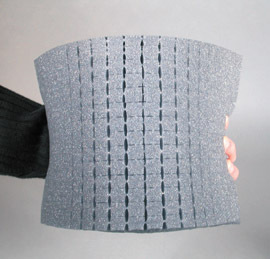 The lids have double wall construction for added protection. 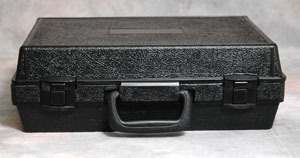 We have over 20 different styles of blow molded cases, from heavy duty military cases to little plastic boxes for protective transport. Pick and Pluck foam is now available. Custom foam inserts are also available, please provide your instrument specs so we can quote you (25 pc minimum for custom inserts). Each case has a recessed smooth label area for you to apply a label. Quantity pricing available (101pcs+) please call. 8" x 5" x 1-1/2"
7" x 4" x 1-1/3"
8-1/2" x 6" x 2-1/2"
7-1/2" x 5" x 2-1/8"
10-1/2" x 7" x 2-1/4"
9-1/2" x 6" x 1-7/8"
10-1/2" x 7" x 3"
9-1/2" x 6" x 2-5/8"
10-1/2" x 7" x 3-3/4"
9-1/2" x 6" x 3-1/2"
12" x 8" x 2-1/4"
11" x 7" x 1-7/8"
11" x 7" x 2-5/8"
12" x 8" x 3-3/4"
11" x 7" x 3-1/2"